"I've let a lot of people down," the senator told reporters. In Sen. Al Franken's first interviews since allegations surfaced of his forcibly kissing one woman before he was a senator and groping different women, the Minnesota Democrat said he is "embarrassed and ashamed." (Pablo Martinez Monsivais/AP, FILE) Senate Judiciary Committee member Sen. Al Franken arrives on Capitol Hill in Washington, July 12, 2017. Tweeden also claimed that Franken "forcibly kissed me without my consent" while rehearsing for a skit on the USO tour. Regarding the rehearsal, Franken has said in an earlier statement, "I certainly don't remember the rehearsal for the skit in the same way." After Tweeden shared the photo and the allegations, Franken released a lengthy apology and called for an ethics investigation. (Leeann Tweeden/KABC) Leeann Tweeden posted this photo online that she says was taken while she was asleep on a flight back from a 2006 USO trip. She says it shows then-comedian Al Franken, who is now a U.S. Senator, groping her. Franken, who said he has been a champion of women's rights issues throughout his career in the Senate, also Sunday responded to the other allegations from several women that during photos with them, he allegedly slid his hand down to cup their backsides. Franken told Minnesota Public Radio the allegations took him by surprise, and when asked if more women might come forward, Franken said he doesn't know. "If you had said to me two weeks ago that a woman was going to say I had made her uncomfortable and disrespected her and one of these ways I would have said no. This has been a shock to me. And so I don't know, I can't say," Franken said. "Obviously I've felt that women I've taken these photos with, that some women have said that I crossed the line, and for that I'm very sorry. And any number is too many." "I don't remember these photographs, I don't," Franken told the Star Tribune. "This is not something I would intentionally do," adding that he's posed for "tens of thousands of photos." (Brendan Smialowski/AFP/Getty Images, FILE) Sen. Al Franken takes a break during the Neil Gorsuch Senate Judiciary Committee confirmation hearing as President Donald Trump's nominee for the Supreme Court on Capitol Hill in Washington, D.C., March 20, 2017. Franken has spent over a week in seclusion at his daughter's home in Washington, D.C. where he says he has spent time reflecting on his behavior and his plans once he returns to the Senate. "I know I have a long way to go in terms of regaining the trust of people I've let down and I know that this isn't going to happen overnight. 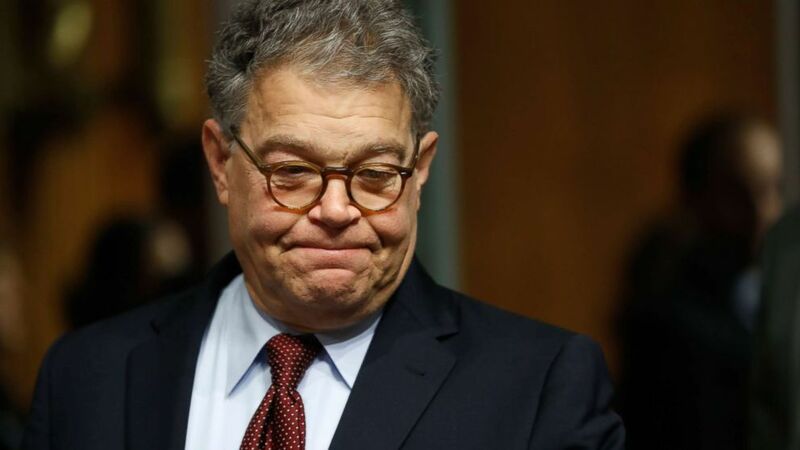 There aren't any magic words I can say," Franken told Minnesota Public Radio. "This will take some time. But I think that I am taking responsibility, apologizing to women who have felt disrespected and everyone I've let down, I'm letting the Ethics Committee handle this in a way that adds to an important conversation to be a better public servant and a better man." 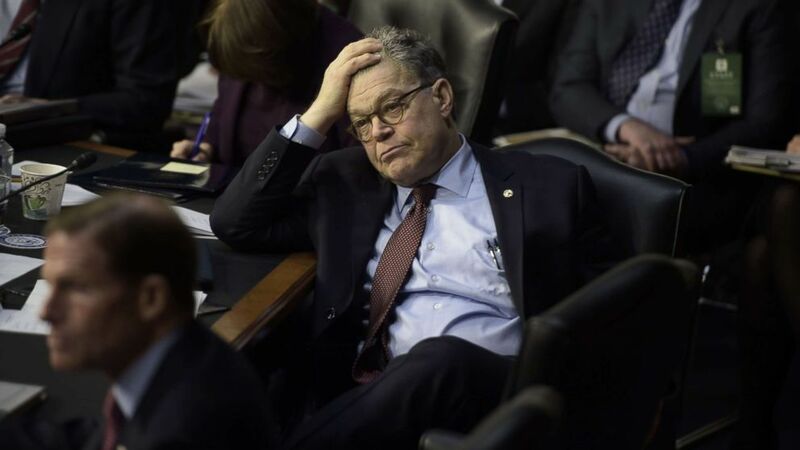 Franken told the Star Tribune, "I'm looking forward to getting back to work tomorrow." ABC News' Maia Davis contributed to this report.